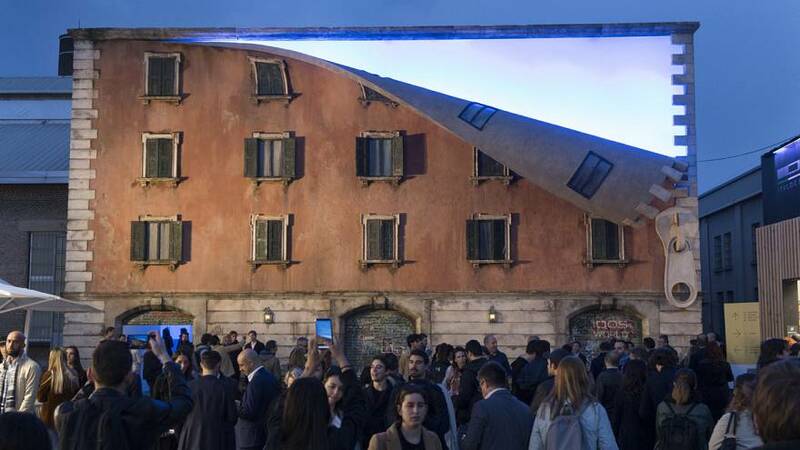 British artist Alex Chinneck, known for his subversive installations, partially "unzipped" the facade of an old building for Milan Design Week. The 35-year-old is internationally-known for his site-specific installations and surreal architectural optical illusions. 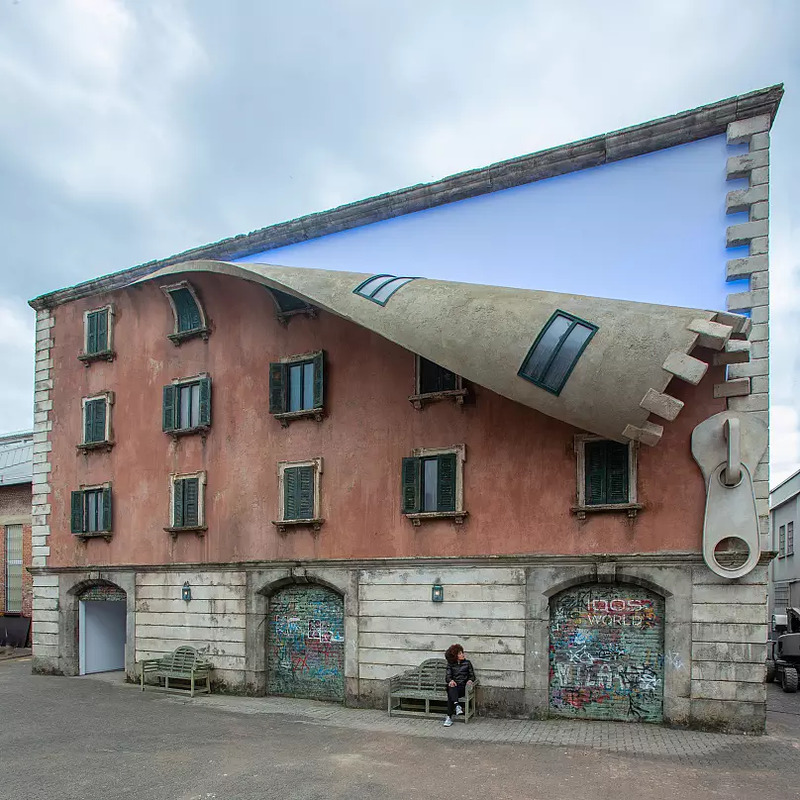 In 2014, he created a life-size replica of a building in Covent Garden, London, but made it look like it had been ripped apart in two parts with the upper half seemingly levitating in mid-air. The facade he created in Milan, while impressive enough already, is just one part of the creations. The sculptor also took over the rest of the abandoned building, creating further unexpected openings from which light emanates. 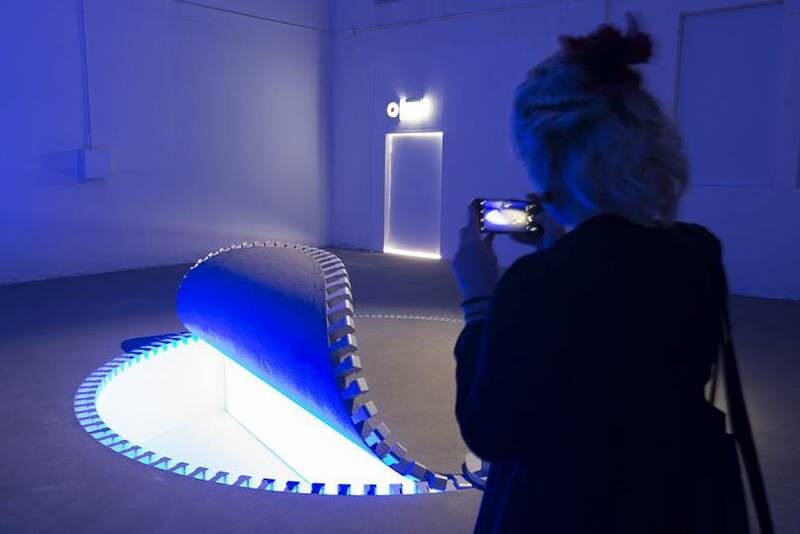 "The surfaces of the space are thus designed by the artist as metaphors of an ideal process of transformation: "opening" the physical ability to create a new narrative imagination in his audience," Milan Design Week said in a statement. 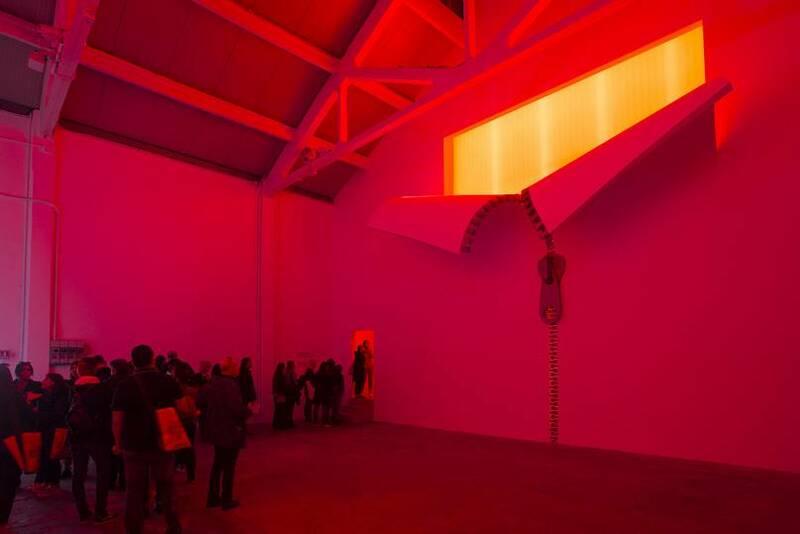 The installation, located in Milan's Via Tortona 31, is open until April 14.